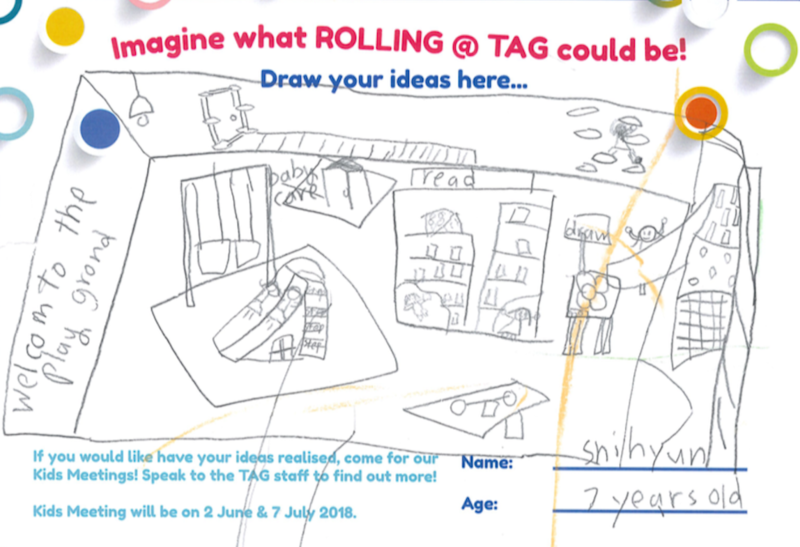 As part of Rolling @ TAG, we encourage children to take ownership of the play space. We value their voices and want them to be able to implement a change within the space. The artist and TAG team (including designers and technical personnels) will be facilitating these meetings. Children will get into groups and come up with ideas about how they would like to see the space transform. The most popular idea will be selected and implemented in our play space! Pre-registration is encouraged, drop-ins on site are also welcome.